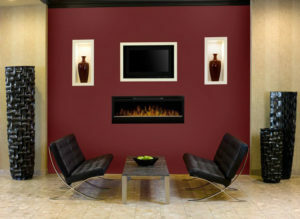 Add that last bit of elegance to any room. 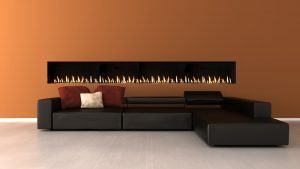 The American Hearth Boulevard Direct Vent Linear Gas Fireplace – 60″ comes with your choice of a porcelain black liner that goes well with virtually any décor, or a distressed bronze Ridgeback corrugated metal liner for an industrial look. 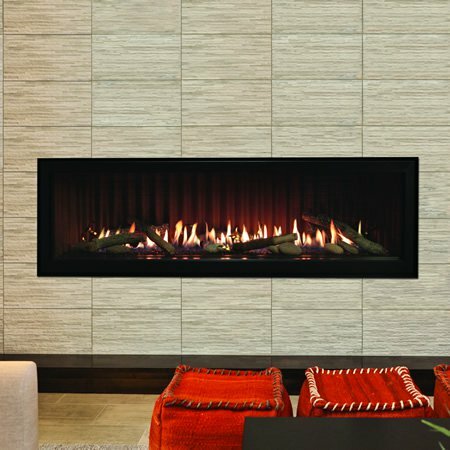 Choose from the three translucent shades of crushed glass that allow the under-floor white lighting to shine through, and add the Rustic Log Set to add even more beauty to this fireplace. The included Multi-Function Remote controls the burner, accent lighting and even the optional blower if you choose. 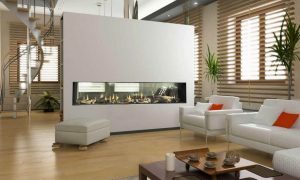 The Intermittent Pilot system eliminates the standing pilot and at the same time, saving you money. 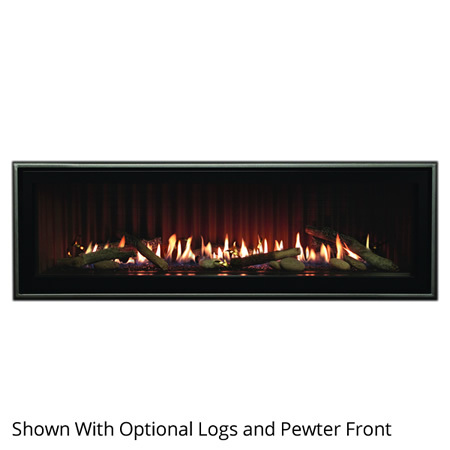 The American HearthBoulevard Direct Vent Linear Gas Fireplace – 60″ also includes a battery back-up located in a wall box for manual or remote operation so you are never left out in the cold. 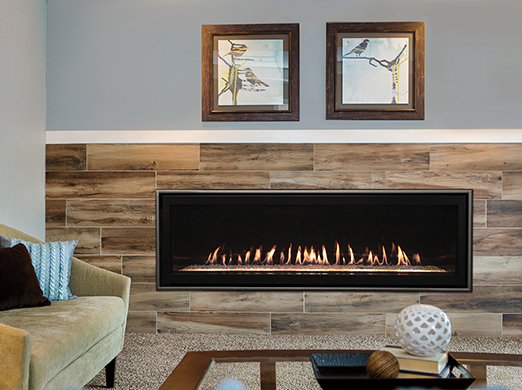 At up to 46,000 BTUs (Natural Gas) this fireplace will have no problem warming a large room.